What does the #BearsforRare campaign mean for my school? 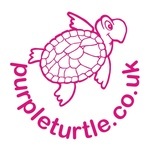 Participating in this campaign means that your school will be involved in a big movement to educate and protect children right across the UK, whilst supporting vulnerable children internationally with the rare genetic condition Xeroderma Pigmentosum. 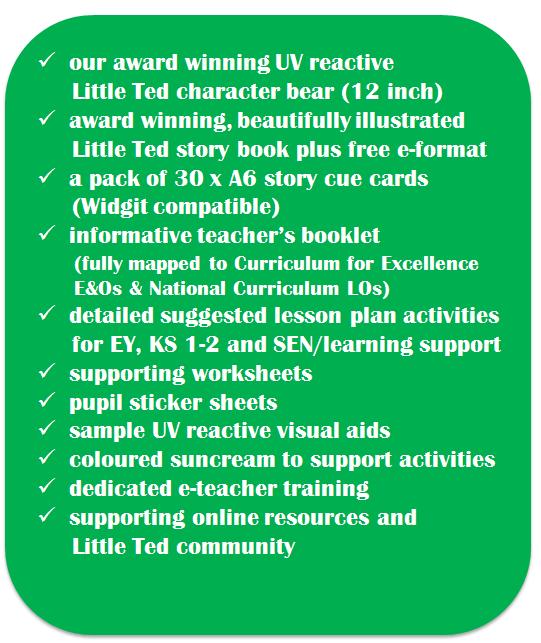 Join our campaign, and receive our BRAND NEW Little Ted goes to school... educational pack for your early years or primary school. Delivering key messages on inclusion, rare disease and sun safety for all. 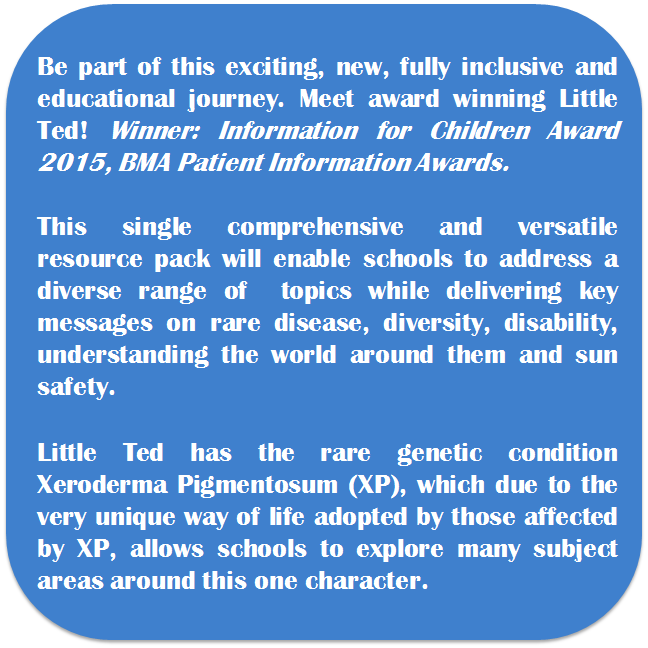 PLUS, every funded Little Ted goes to school... pack allows us to reach one child living with the rare genetic condition of Xeroderma Pigmentosum (XP) with our BMA Award Winning, Little Ted patient pack. This pack provides vital and age appropriate education to help young patients with XP learn about living with their complex and life limiting condition. As a school it is really easy to get involved, and this initiative is open to all early years nursery and primary school settings. There are two ways you can obtain a pack for your nursery or school. START FUNDRAISING: Simply complete the School Sign Up form at the bottom of this page to register your school and get started with your fundraising. ​Please take a few minutes to see below full details of what your school will receive when joining our campaign. Meet our award winning Little Ted! Each Little Ted pack comes presented in a practical and handy duffel bag for ease of use and storage, keeping everything to hand when you need it. This pack contains a comprehensive teacher booklet with all of the resources you need to deliver a first class learning experience across a wide range of IDL topics. 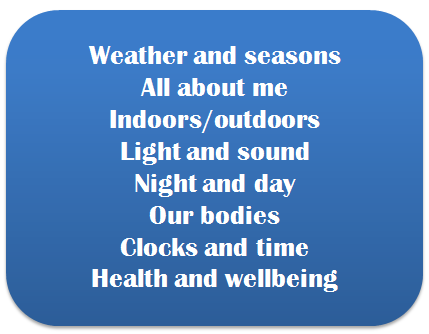 Allowing you to explore these themes through many of the core outcomes; communication and language, physical development, PSE, literacy, mathematics and numeracy, understanding the world, science and expressive arts. To this end, we believe we have tailored a fun, creative and educational resource, which is highly workable within the classroom and which, we hope will become a firm favourite `go to` resource, for years to come! 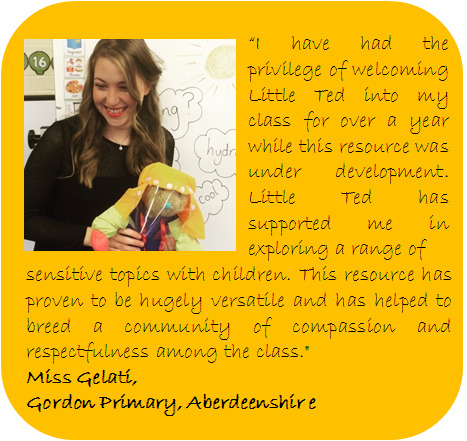 When you decide to invest in the Little Ted goes to school... resource pack you will also gain access to our dedicated online schools hub. Join our #BearsforRare campaign and together we can educate and protect! Click below to either BUY IT NOW for immediate dispatch , or SCHOOL SIGN UP to start fundraising for your pack.